Taipei, Nov. 26 (CNA) The date for Taipei's annual twin-city forum with Shanghai has been provisionally set for Dec. 20, Taipei City Government spokesman Liu Yi-ting (劉奕霆) said Monday. Since 2010, the two cities have taken turns hosting the forum. This year it is Taipei's turn to organize the event, which seeks to promote exchanges between people from the two cities. Liu said the 2018 forum, the ninth to be held, is planned for Dec. 20, noting that this year's event will focus on the circular economy. Taipei has invited Shanghai Mayor Ying Yong to attend, but it has not been confirmed whether he will attend, Liu added. "Shanghai will certainly send someone of a high rank to attend, at least a deputy mayor," said Liu. "The two sides will treat each other based on the principle of equality," he noted. Liu further said that Taipei Mayor Ko Wen-je (柯文哲) will engage in city-to-city interaction with officials from Shanghai based on five principles -- getting to know each other, mutual understanding, respect, cooperation and tolerance. 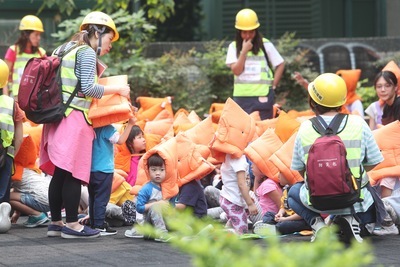 As for the forum's planned focus, Liu said both Taipei and Shanghai are densely populated cities, making the creation of a welcoming and sustainable living environment a key goal. As such, discussions will focus on the public housing, urban renewal, public health, culture and environmental protection, the spokesman said.